In the week that we’re celebrating the NHS’s 70th birthday, our health and social care system faces an immediate existential threat arguably greater than that posed by this Tory government. The head of the NHS, Simon Stevens, was asked by the BBC’s Andrew Marr at the weekend whether he could guarantee the continued availability of vital medicines and medical equipment in the event of a ‘no deal’ Brexit. He couldn’t. The best he could offer? That the issue was at the “top of his list for contingency planning”. Let’s be clear about what happens in less than nine months’ time if there’s no deal. The ports and airports will seize up. The tens of millions of movements of vital medicines and medical equipment in and out of the U.K. every month will be delayed or stopped. The regulatory and licensing rules that currently allow their free flow will be void. Many of them are just-in-time products, not manufactured here and have limited shelf life so can’t be stockpiled. The supply of medicines and equipment is just one part of our health and social care system that would be hit by a ‘no deal’ Brexit. The ongoing loss of EU staff, which is making the existing staffing crisis even worse, will become an exodus; UK drugs companies have already moved tens of millions of pounds of research and licensing work to the continent, just in case. Investment that will never come back. The fact that few, except the likes of Jacob Rees-Mogg, say they could contemplate a ‘no deal’ Brexit doesn’t mean it can’t or won’t happen. And what of the hard Brexit being pursued by the government – outside the customs union and single market? The implications of that would also be extremely serious for the NHS. We know the £350m extra for the NHS promised by the Leave campaign in the referendum was a lie. The government’s own impact studies of all the Brexit scenarios show Britain will be poorer as a result. That will mean less money for public services, including the NHS, or big tax rises. The British Medical Association, The Royal College of Nursing and the Nursing and Midwifery Council are so worried about staffing and other Brexit impacts that they’ve come out in favour of a ‘people’s vote’ on any final deal. The Conservative chair of the Commons Health and Social Care Committee, Sarah Wollaston, told parliament recently that patient safety will be put at risk without full frictionless trade and regulatory alignment with the EU after Brexit. There are also concerns that future trade deals negotiated by a weakened UK on our own could drive down standards and open up the NHS to large US private health companies. President Trump said recently he wants to force up the cost of medicines in the UK and Europe, so drugs companies could reduce them in America. There’s an Irish border problem with health too, as the health economies north and south have become increasingly integrated since the Good Friday Agreement. Three former Health Secretaries, all the Labour members of the Commons Health Committee and many more Labour MPs and peers wrote to Jeremy Corbyn this week, urging him to put the NHS at the centre of our critique of the government’s approach to Brexit. The debate so far has been dominated by trade and economics. But, given the mounting evidence of the damage already and of much worse to come with a hard Brexit or no deal, Labour must be on the right side of the arguments about Brexit and its impact on the NHS. If not, future generations will not forgive us. 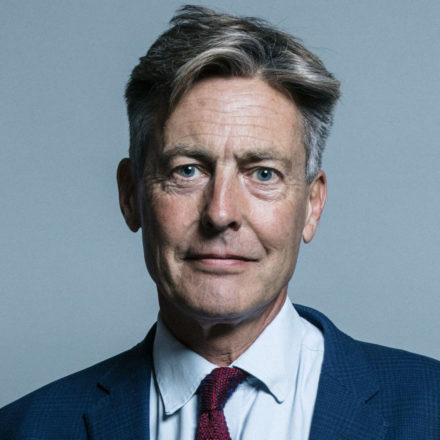 Ben Bradshaw is MP for Exeter. Ben Bradshaw is MP for Exeter, and spokesperson for Labour Yes.